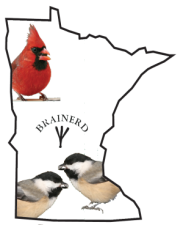 The following are my bird sightings (my lists) from Birds of the Byway locations. I hope to have more complete records and document many more species in the future along the Birds of the Byway. The Paul Bunyan Scenic Byway (Birds of the Byway) is located within Crow Wing County.